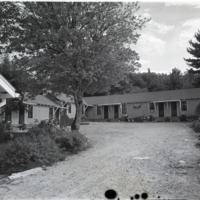 This image is of one of the buildings at Hemlock Motor Court. 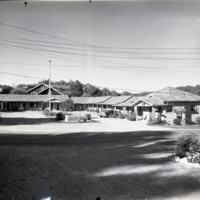 The original envelope was labeled "Hemlock Motor Court, 9-54" and had been filed under "Buildings + Houses." 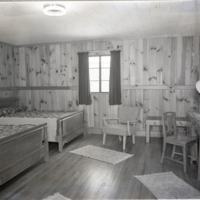 This image shows one of the rooms at the Hemlock Motor Court. The original envelope was labeled "Hemlock Motor Court, 9-54" and had been filed under "Buildings + Houses." 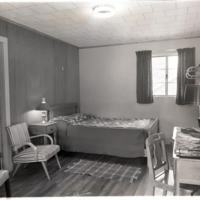 This image is of one of the bedrooms at Hemlock Motor Court. The original envelope was labeled "Hemlock Motor Court, 9-54" and had been filed under "Buildings + Houses." 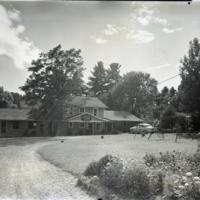 This image is of a long building at the Hemlock Motor Court. 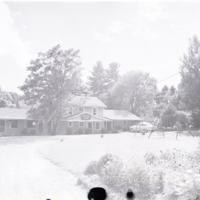 The original envelope was labeled "Hemlock Motor Court, 9-54" and had been filed under "Buildings + Houses."